The downside of living abroad is homesickness that hits you like a ton of bricks. I have a good job and a balanced life. But I still feel homesick, not so much for my family or the food but for the Himalayas. The urge to return was so strong at the beginning of the year that I brushed aside a serious threat of losing my job. I didn’t know which home was calling but I was hearing a call – O nadaan parinde ghar aa ja! But as the cliché goes, “When mountains call, you must listen to them.” I did exactly that. The calling this time was different. There was a different tune to it. I sensed a deeper meaning, probably more than just the travel. Too often, traveling becomes just an itinerary on paper to squeeze as much in as possible. Rushing from place to place to get the boxes ticked, to snap the picture-perfect sunset and to hit the next scenic spot. Sometimes it feels like we are acquiring experiences rather than experiencing them. I had a super crammed itinerary but this time I was determined to travel slow and relish the experiences and not just gather them. As they say, the best dishes are cooked on slow and low flames. 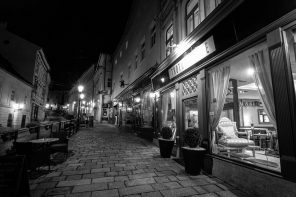 I wanted to do something different, go offbeat and live the unique experiences, for they are not found on the beaten track. 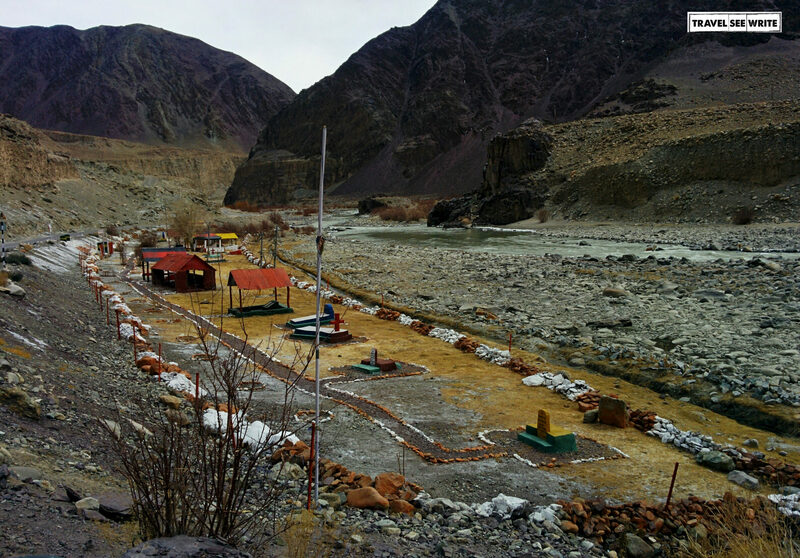 And guess what, I discovered happiness in the remotest part of the world – Changthang. 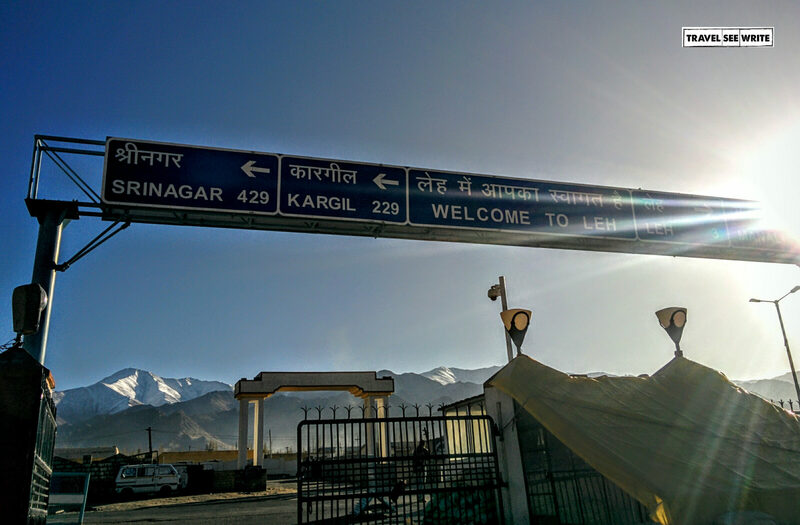 My plan was limited to fly from Delhi to Leh Ladakh. I decided to leave the rest to serendipity and the local conditions. All I knew was, I was going to visit the unexplored Ladakh – the Changthang plateau. I had no clue beyond that. Locals are the unsung heroes who turn your good trip into a great one. My case was no different. The credit for an unforgettable trip goes to them – some I knew beforehand and some I made friends on the trip. I had booked myself at the Zaltak guesthouse, a place where I’ve lived in the past. The Didi who runs the place is one amazing person. She was preparing for my homecoming. After a lovely hug and exchange of heartfelt pleasantries, I was treated to my favorite Jasmine Kehwa and Ladakhi Roti. Memories of my previous trips hit me hard and off I went dreaming. As a part of acclimatization, I wasn’t supposed to go out on the first day but I had no option. 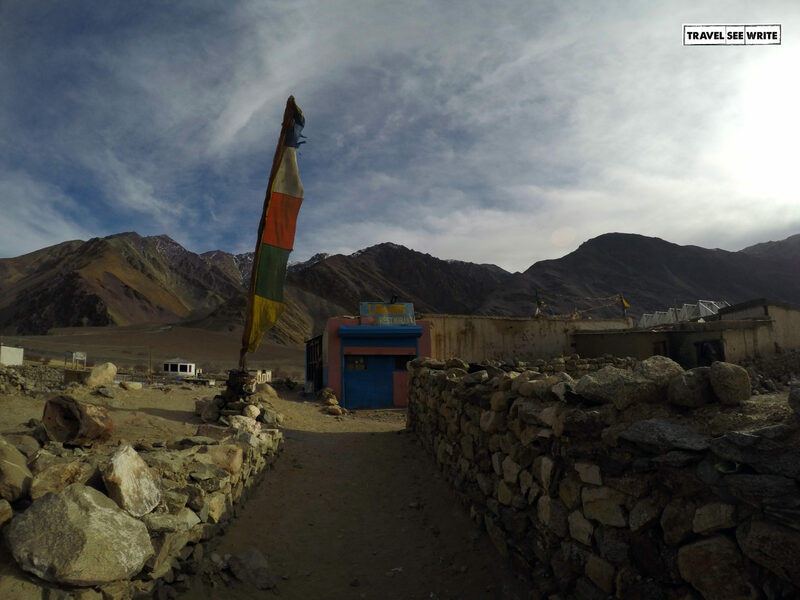 I had to secure my inner line permit from the DM’s office to visit the restricted areas of Ladakh. James, one of my good Ladakhi friends had done all the hard work in securing the necessary permissions, while I just signed the document. 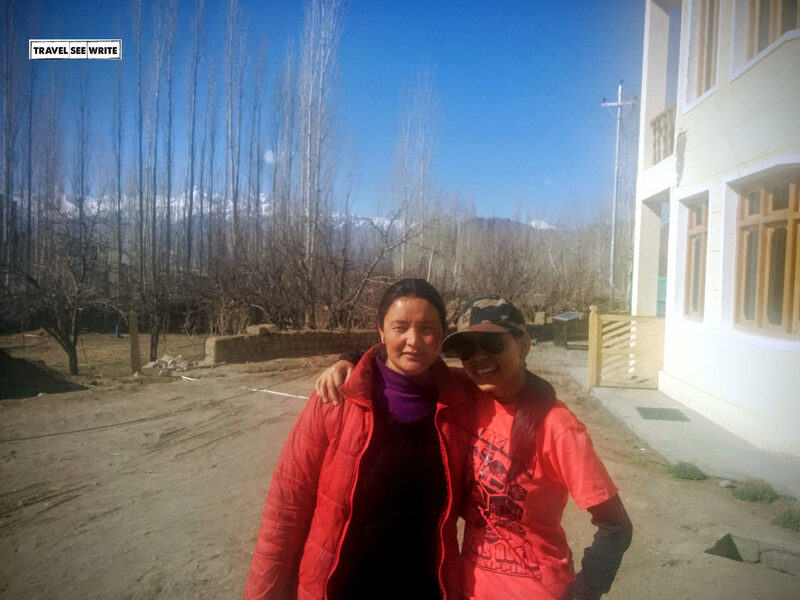 My last minute call to an Army friend, who was posted at Leh, got me a comfortable stay at the Army Guesthouse at Chumathang. 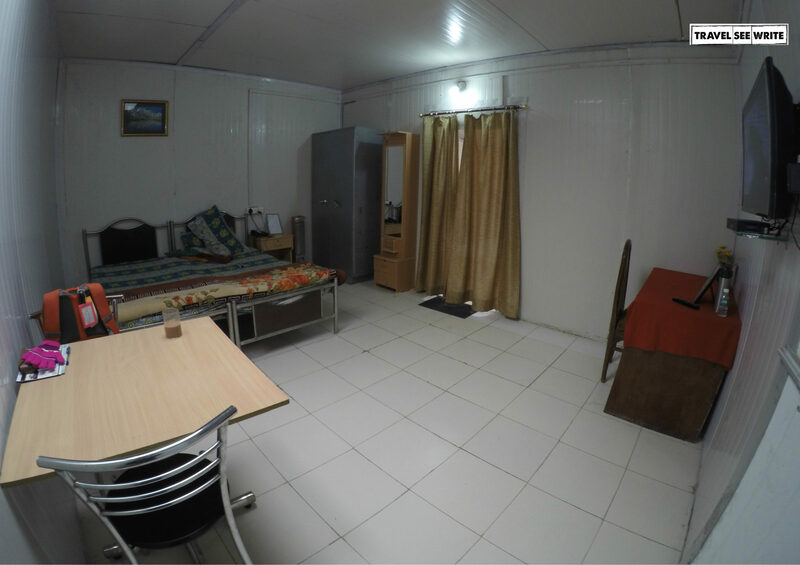 From a bathtub to comfortable cozy bed to room heater to cable TV to hot meals and packed lunch, I had all luxuries of life in a place where even getting potable water was difficult. That’s the perk of being associated with the Indian Army. The impossible word doesn’t exist in its dictionary. The Guest House in-charge introduced me to the village Sarpanch – Skarma. 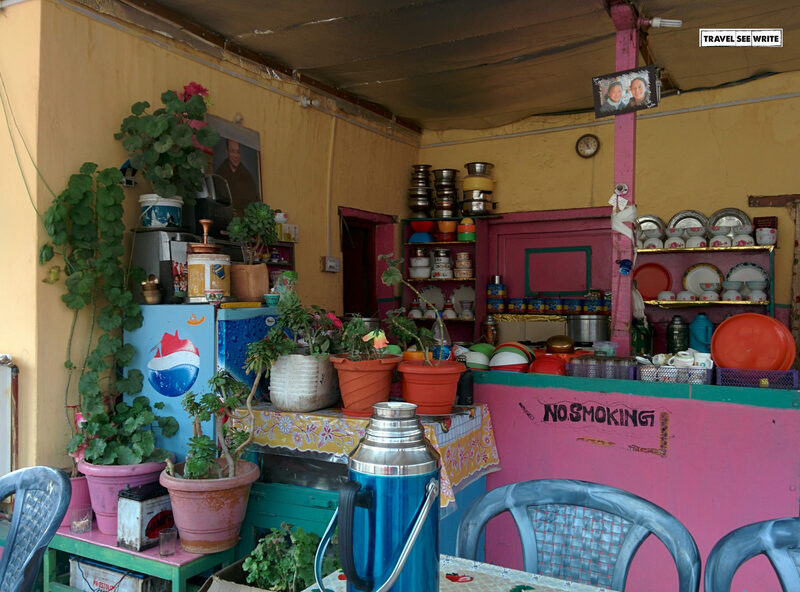 He was the most respected man in a village of 50 houses and ran Lamying Hotsprings Restaurant on the banks of the mighty Indus river on the Leh-Hanle highway. The all glass restaurant gave a greenhouse effect, amazingly warm in a cold barren land where temperatures plummet to -40 degree in winters. Almost everyone traveling on this highway stopped at his restaurant. 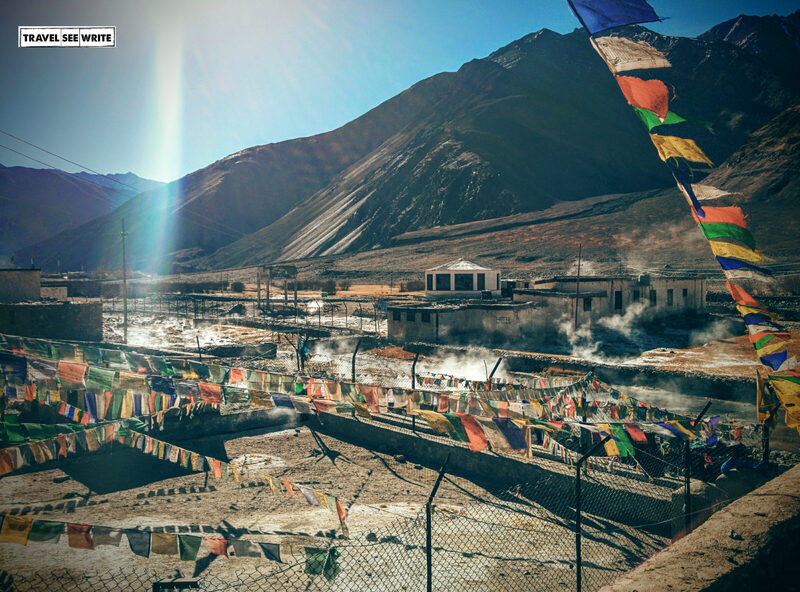 In case you didn’t know, Chumathang is a place famous for Hotsprings. 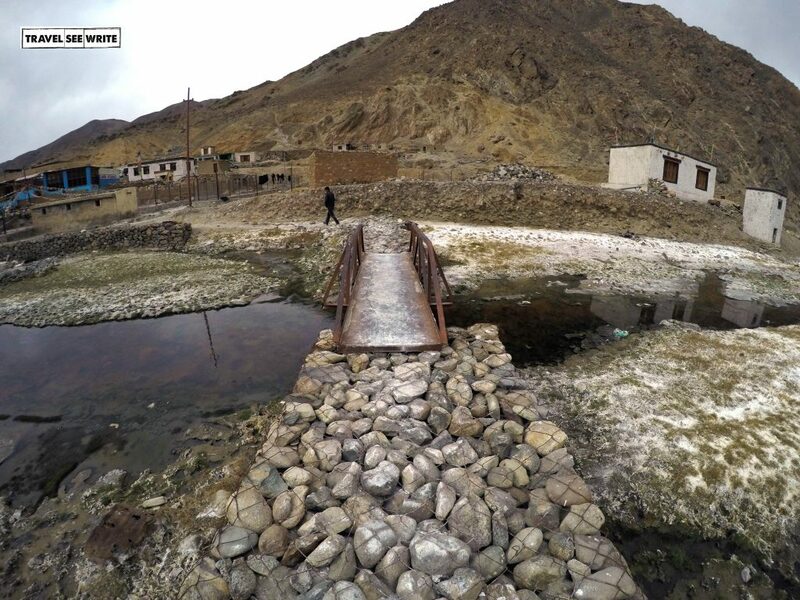 There is one particular hot spring that hardly anyone knows about – it stays in the riverbed for ten minutes, the water looks very calm and suddenly it oozes out with full force. And the same loop continues. I would have been contended by seeing the usual hot spring site and would have never known something like this exists had Sarpanch not showed it to me. They say mountain life is not easy. I experienced that first hand. Though the water is so hot here that you can boil eggs in 5 minutes, it leaves a pungent smell and taste to the food. That’s why the Sarpanch’s staff walks for four km uphill to the Chumathang village to fetch water for cooking, every single day. And it’s not a few liters. He gets water to cook for at least 100 people every day. 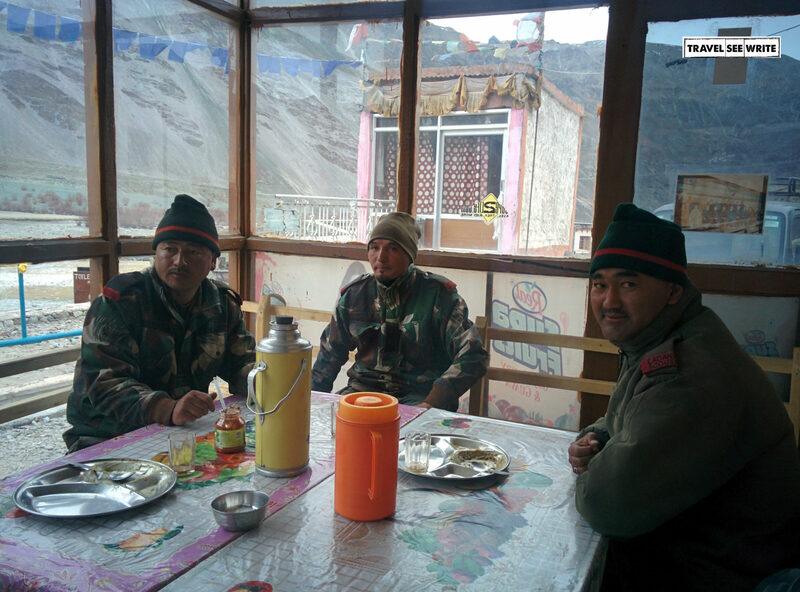 I spent a lot of time talking to villagers, army personnel, Ladakhi Scouts, and locals taking a break at Sarpanch’s restaurant. I was listening to all kind of unheard of stories, like a child glued to her grandparent’s bedtime stories. One of them I spoke to was the headmaster at the Puga Nomadic School. His stories about the school and the difficult life lived by the pastoral nomads inspired me to visit the place, which had nearby not-to-miss-at-any-cost attractions like Tso Morori Lake, Sumdo and Karzok Tibetan nomadic villages, Puga hot springs, and Chumur. The only problem at hand was finding a cab. There were only two personal cars – one of a government servant working in Nyoma and other of the Sarpanch. Both were busy with their own schedules. Despite being out of bounds, I had to try! Nobody was ready to accompany me on this daredevil stunt. Even money failed to lure them. Reason – the area was completely frozen and cars would often skid. No connectivity. No help. But where there is a will there’s a way. Curiosity takes you to places where no map or app can take. Are you curious enough to find out what happened next? 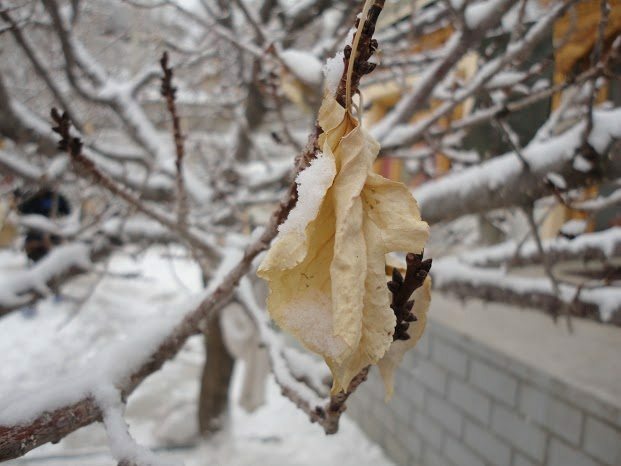 How did I manage to witness the frozen wonders of Tso Moriri and the beautiful villages? You have to hire your own cab as there is only once a week bus (leaves at 12 PM every alternate Sunday). And don’t forget to tank up and carry extra fuel for your return journey. There’s no petrol pump in the region. I have lost my mood to work after reading this. Need a break again. 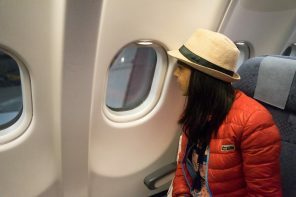 Did you travel here this month Archana? Extremely sorry for the delayed response. I went to Changthang in March. Do let me know if you need any help to plan your trip. 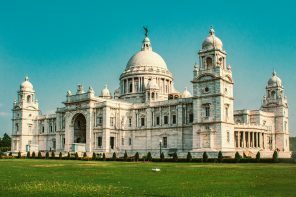 As you have written the above line, I would like to say you can check (http://deal4flight.com) this site for all available offers In India for air travel. I think this may help you and others. Happy Traveling, Happy Seeing and Happy Writing………….. Thanks a lot for going through the article. Surely I’ll check your website. How to get these permits? Can I get them in Leh? I will be covering Turtuk, Dah Hanu and Chanthag. Please tell me the permit details. Thanks in advance. You can get the permit at DC’s office in Leh. Won’t take much time. You just have to fill a form and submit your id proof. Astounding photos! Thank you for the honest tips! Really enjoyed reading the post Archana! “the best dishes are cooked on slow and low flames”… except for deep fried foods, haha! Thank you for sharing this amazing journey! I’ve never even heard of Chumathang, but reading this felt like I was right there with you. What a fascinating place! 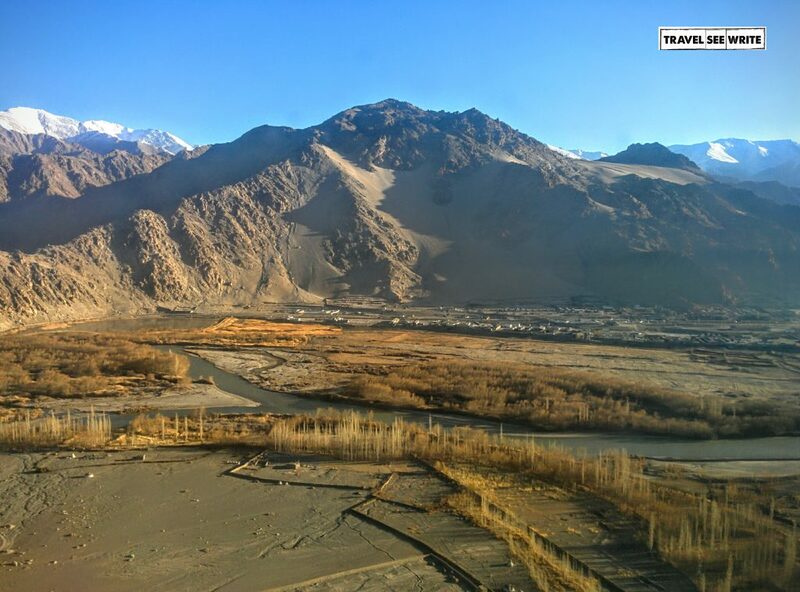 I can see how that picture infused nostalgia and successfully convinced you to go back to Ladakh! It’s a region I would like to visit one day but I admit I’m not a fan of the cold so I would have to go when it’s warmer (or was this time considered warmer?). Thanks for your comment. I went in the thick of the winters when everything is frozen. The best time to visit is during summers – July to Sep.
That looks so stunning. It’s so great that you were able to go back and even meet someone you’d met before. We don’t realize how much traveling can affect us bus it also has effects on those we visit, doesn’t it? Love this very different trip that few probably try. Thanks a lot for the kind words. I am so glad you liked the story. And I absolutely agree to what you said. It impacts both the guest as well as the host. I don’t know about Changthang being the remotest part of Earth, but it has to be one of the most beautiful places on Earth! It’s crazy how least planned trips turn out to be the best ones you ever had. 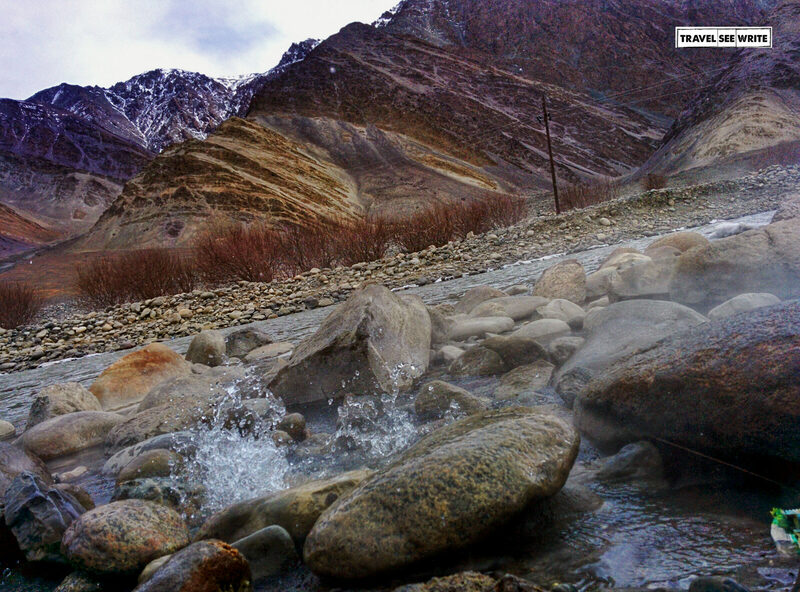 Beautiful captures of the valleys and yes, I never knew there are hot springs in these regions. Very nicely written post, thoroughly enjoyed reading it :). Thanks a lot Suma for the lovely words. I too hardly knew anything about Changthang before I went there. 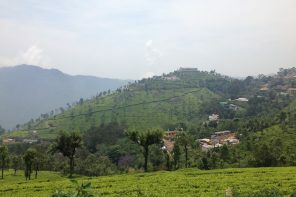 It’s a beautiful place and thank god it’s hard to reach there else it would have been destroyed like many other places. 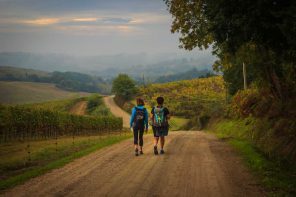 It’s always good to read stories of true spontaneous travelling! I feel so jealous and wish we could do that too. Absolutely love the photography throughout this post, beautiful pictures. Thanks for sharing your adventures. Photographs! Just in love with these photographs. 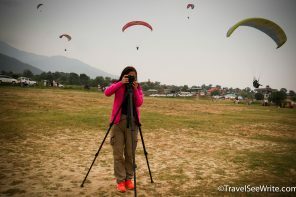 Travelling and photography is a great combination. I loved that you had both. Glad to know about your amazing experience. What stunning photos – I’m not surprised the mountains were calling you! There’s something awe-inspiring about being surrounded by them. I would love to visit the Himalayas one day – and I’ll add Chumathang and its hot springs to my list. Such an interesting area. The nature or the landscape in general looks so rough, very intriguing. Keep writing this kind of amazing blogs. I don’t like reading but after reading your blogs. “Now I can say I am a Reader” Thanks for this. 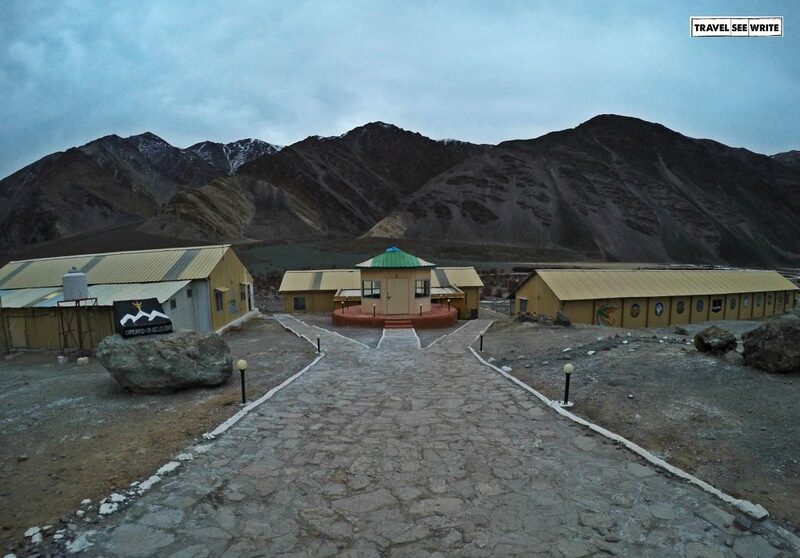 You have written extremely well about Leh, we always need a break from our work, and the place you have beautifully explained is must visit part of India. You have simply mentioned how you visit the place so that other people can also organize it by self. Thanks for writing. 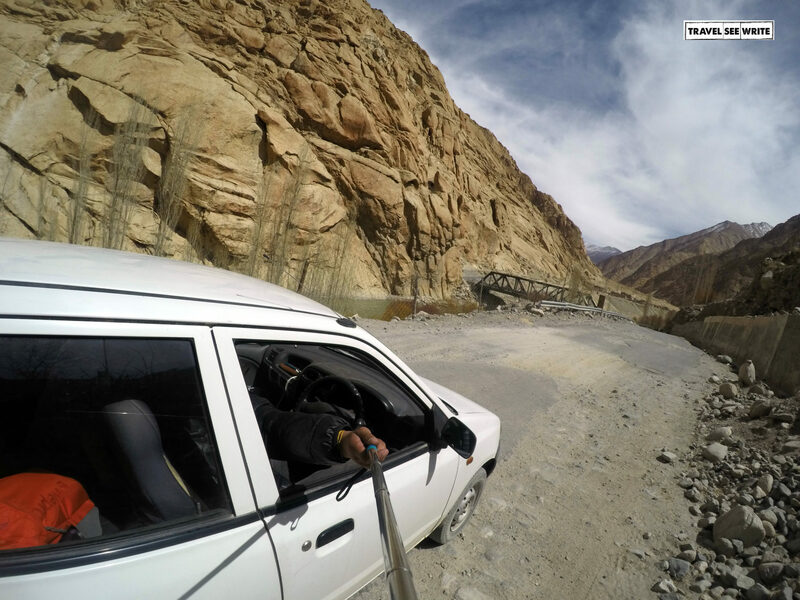 Exploring Leh is my dream and I would like to have that excursion like this. The unplanned trips give us the strength to make the most out of it. Got much out of this post, thanks for sharing it with us. Absolutely amazing place. I am impressed by the photos. Thanks for such an amazing inspiration.